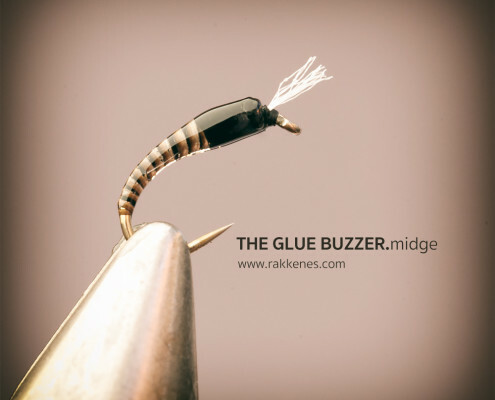 The Glue Buzzer is really a standard glass bead buzzer pattern. It’s not the most beautiful variant, but a fast tie and an extremely efficient one. Try it on a lake or still water in combination with a dry – fish it with careful hand twists and confidence. 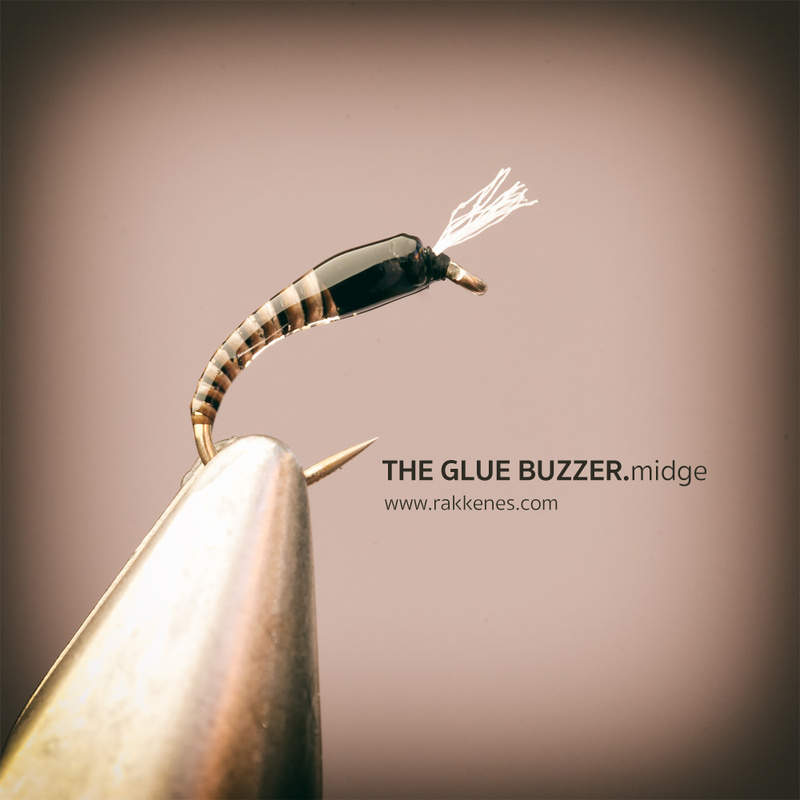 The Glue Buzzer is in every flyfisherman’s standard armory now. Competent tiers make fantastic and spectacular variants of this pattern – eye candy really. I must admit that I love to tie them. And I do entertain my ego my creating colorful and more beautiful variants than this one. But this variant is the one I must often turn to when I am out on the still water fishing a midge hatch. The thing with fishing buzzers is patience. A lot of patience. The fly is of course fished wet, and never alone. I usually fish it as a dropper together with a dry midge (the CdC Midge or a Palmer Midge). One or two buzzer at a time. I use the New Zeeland rig as the standard approach. Try to find out the path of the feeding trout. Make a cast and let the buzzer sing. Then the patience comes in. Reel in the fly rig real slow with careful and patient had twists. The fly should move so slowly that you feel that it take ages before you can make a new cast. Watch the dry fly. It works as strike indicator. When the dry fly disappears – make the strike. You can vary the pattern in five thousand ways – it’s up to you. But never leave home without this boring version in your box. Abdomen: Polish Quill – natural. Materials are listed in order of tying. This fly is perfect for spring flyfishing. Read this article on fly fishing early in the season.